The design of the product line architecture (PLA) is a difficult activity that can benefit from the application of design patterns and from the use of a search-based optimization approach, which is generally guided by different objectives related, for instance, to cohesion, coupling and PLA extensibility. The use of design patterns for PLAs is a recent research field, not completely explored yet. Some works apply the patterns manually and for a specific domain. Approaches to search-based PLA design do not consider the usage of these patterns. To allow such use, this paper introduces a mutation operator named “Pattern-Driven Mutation Operator” that includes methods to automatically identify suitable scopes and apply the patterns Strategy, Bridge and Mediator with the search-based approach multi-objective optimization approach for PLA. 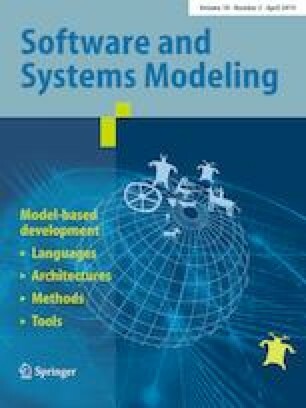 A metamodel is proposed to represent and identify suitable scopes to receive each one of the patterns, avoiding the introduction of architectural anomalies. Empirical results are also presented, showing evidences that the use of the proposed operator produces a greater diversity of solutions and improves the quality of the PLAs obtained in the search-based optimization process, regarding the values of software metrics. Communicated by Dr. Jeff Gray.